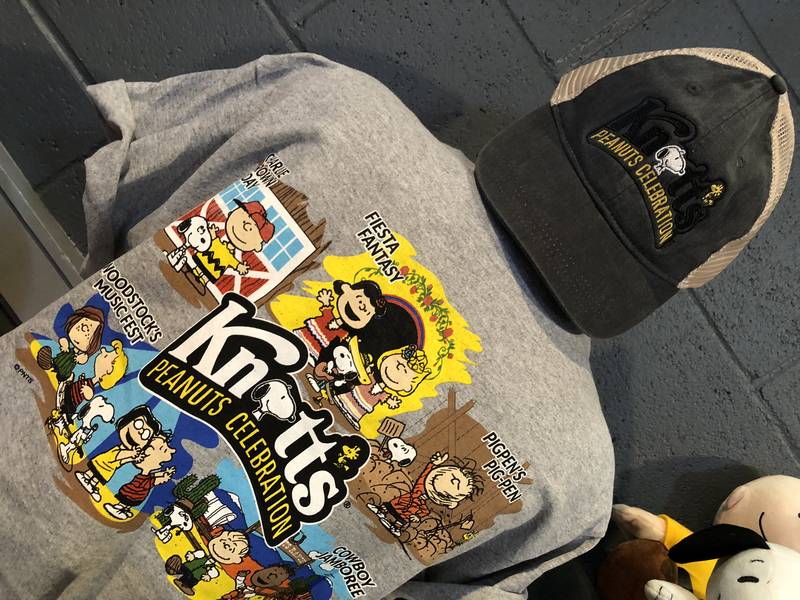 Knott’s Peanuts Celebration Returns with New Food, Merchandise, Shows and Return Favorites! It’s January at the Farm. All of the monsters have drifted back into the fog, all the Christmas cheer has been tucked away for the New Year. That can only mean one thing… It’s time for the Peanut’s gang to come out and play!!!! 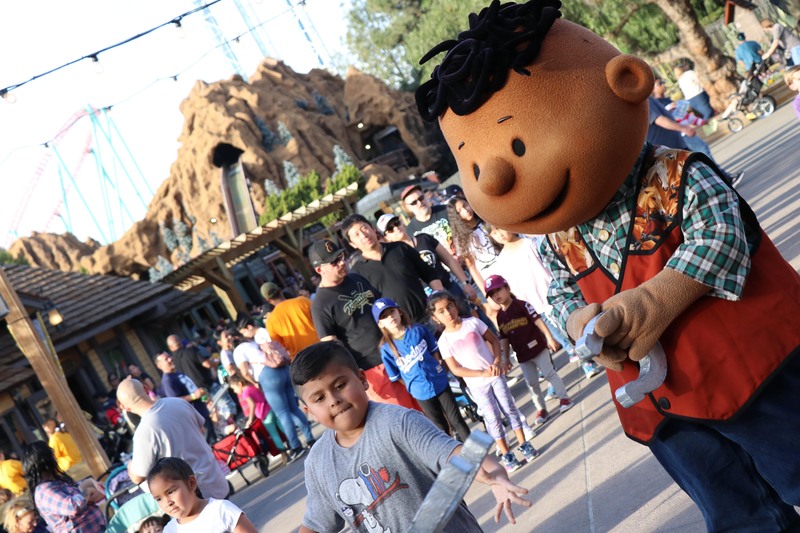 That’s right; it’s Peanut’s Celebration time at Knott’s Berry Farm! 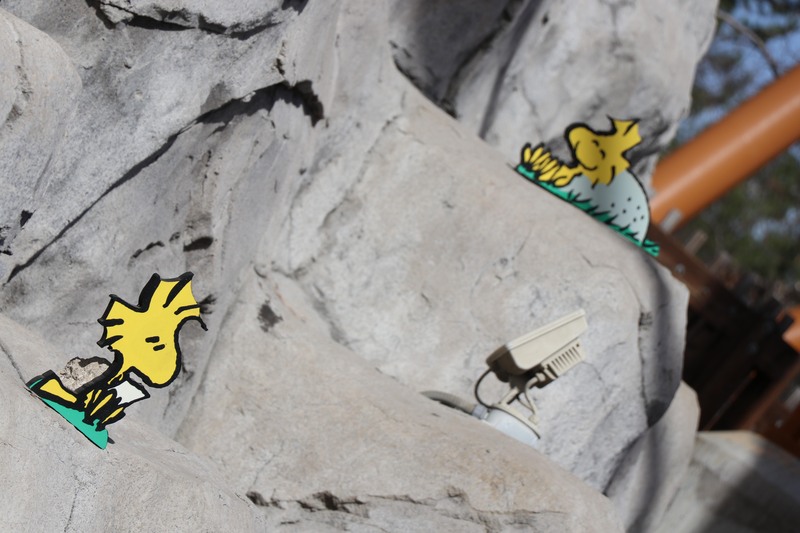 Charlie Brown and the gang are taking over the park and having so much fun! Snoopy is rocketing to the moon in an all new show, Woodstock has turned the sky tower into his own personal bird nest and all off the trees have suddenly acquired a taste for KITES!!! 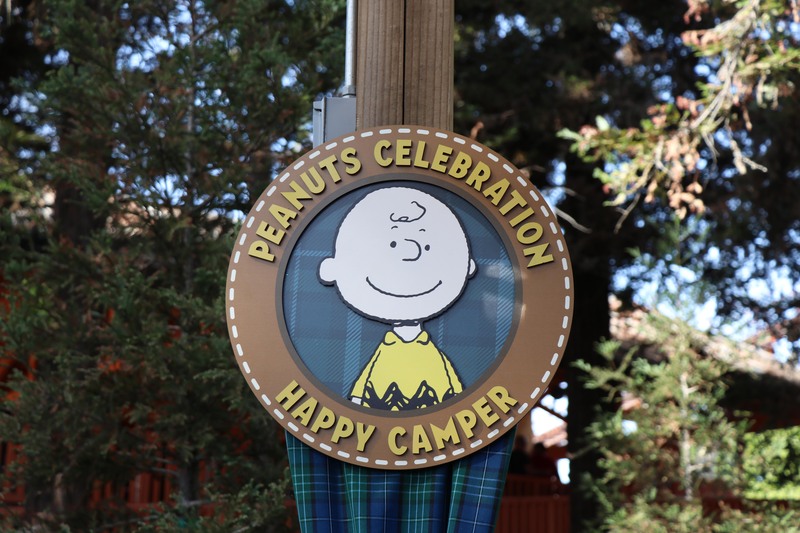 Everywhere you look in the park, the Peanut’s celebration is in full swing! 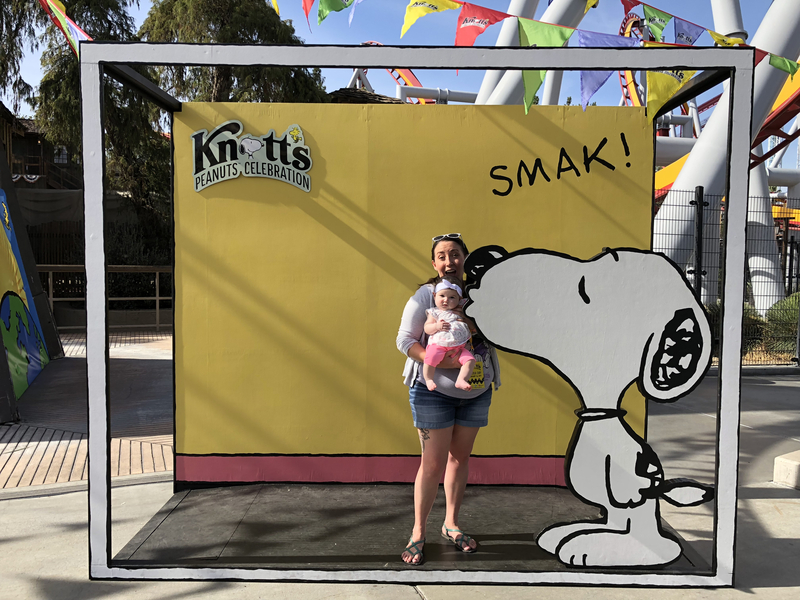 And this Celebration was especially special for this Duo, since it was the first Knott’s event that we were looking at through the eyes of our Daughter. 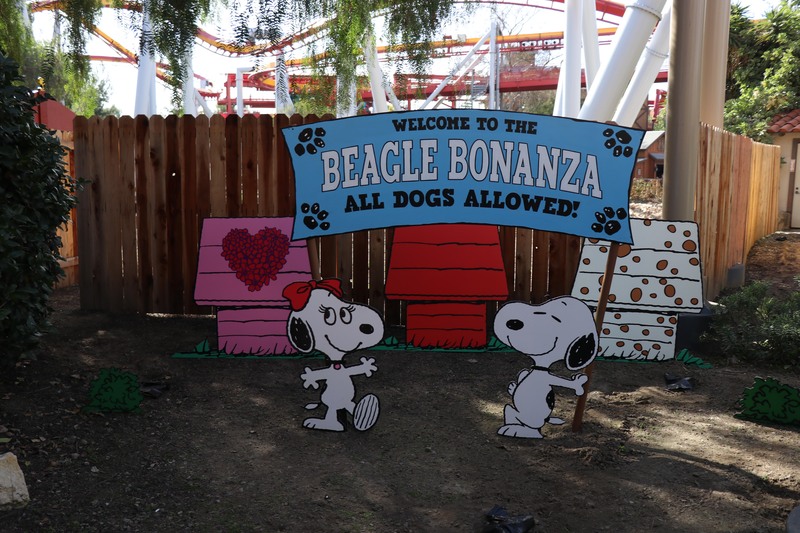 We viewed the Beagle Bonanza with fresh eyes as the Grand Sierra Railroad officially became Eireann’s first theme park ride EVER! But we are getting ahead of ourselves here, let’s start at the beginning! As you enter the park and walk through the gates, there is no denying that something special is going on. 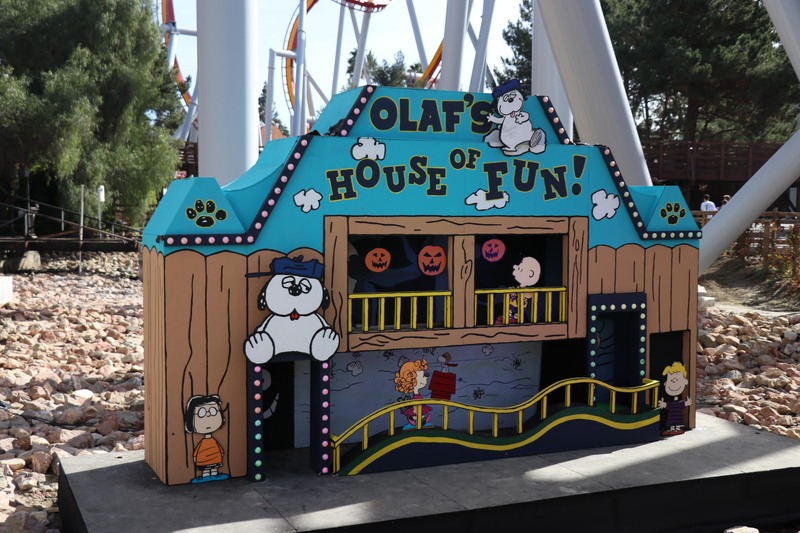 The front entrance is filled with fantastic Peanuts inspired Photo ops and decorations, which have returned from last year. The merchandise booth even looks like a giant version of Lucy’s red Psychiatrist booth. 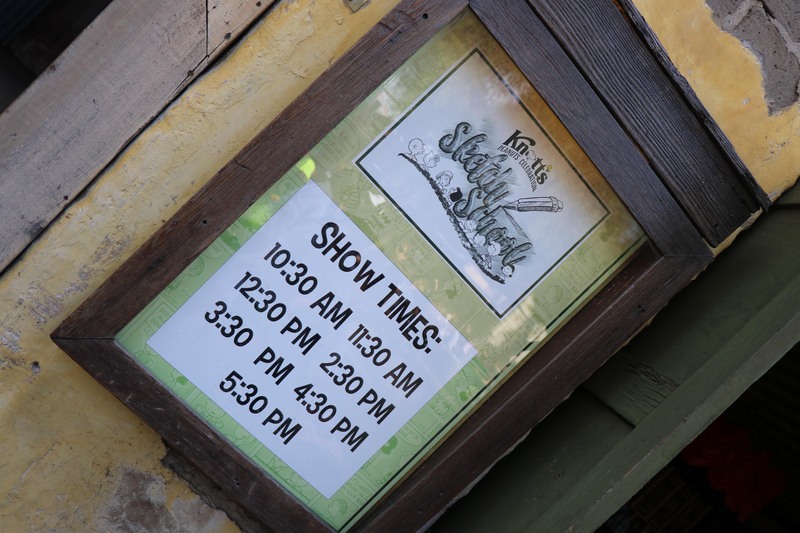 We absolutely love the photo ops and details at the entrance of the park, it truly sets the tone for the rest of your day. 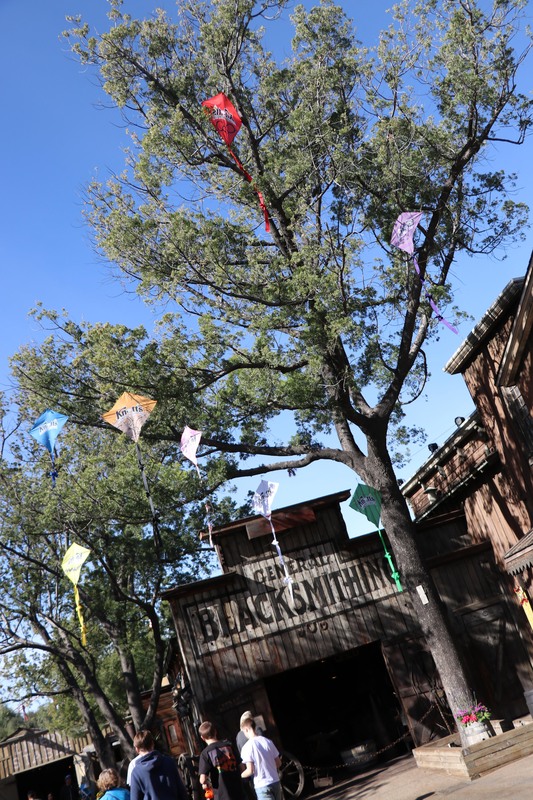 As you make your way down ghost town, it is impossible to miss all of the kites that have been gobbled up by the trees. 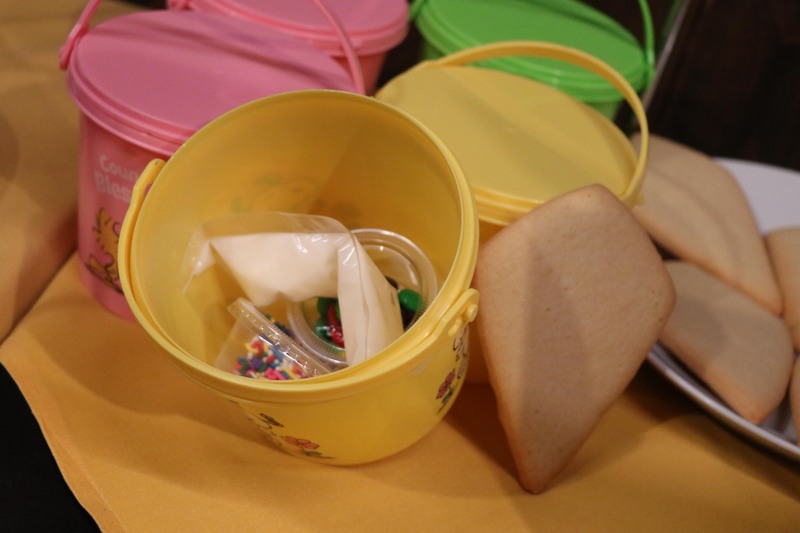 It’s details like these that makes this event so fun and whimsical! And if you look closely, you can see that each kite is themed to different Peanuts characters. 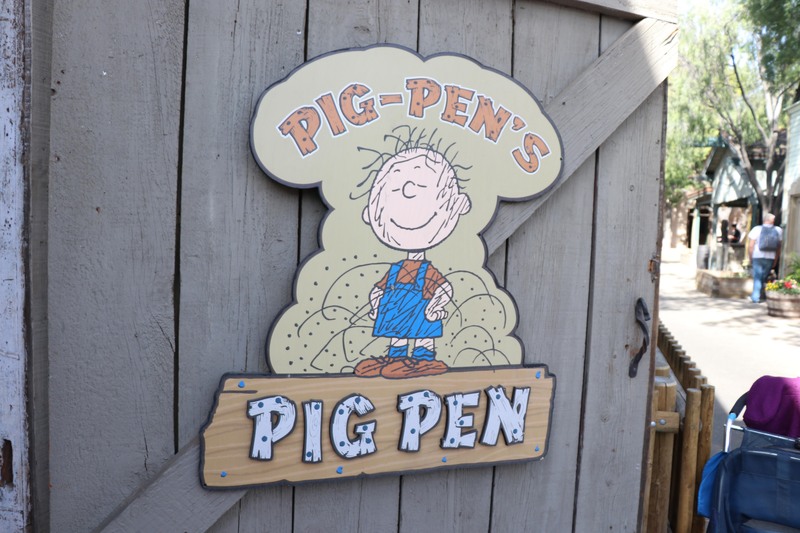 Right at the end of Ghost town you see the Livery Stable, which has been transformed into Pig-pen’s Pig Pen! Inside the stable you can see horses, donkeys, get a picture taken with Pigpen himself, and of course… see some Piglets! 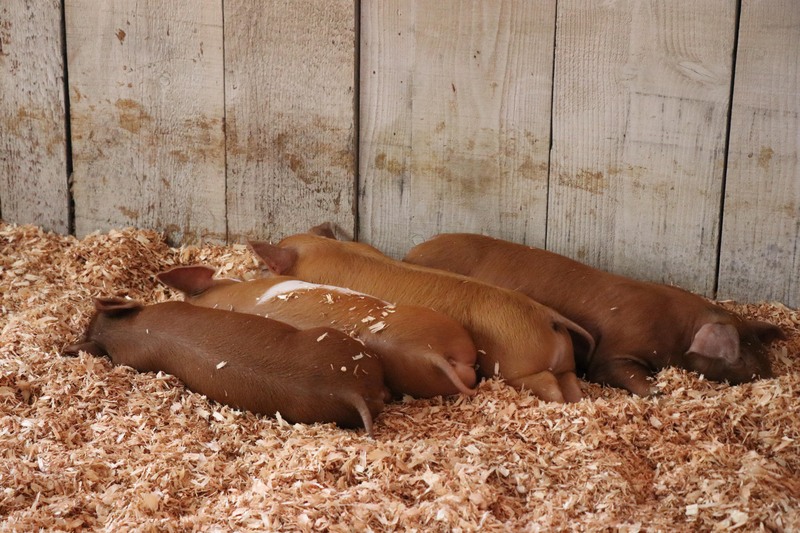 It is called a pig pen after all! 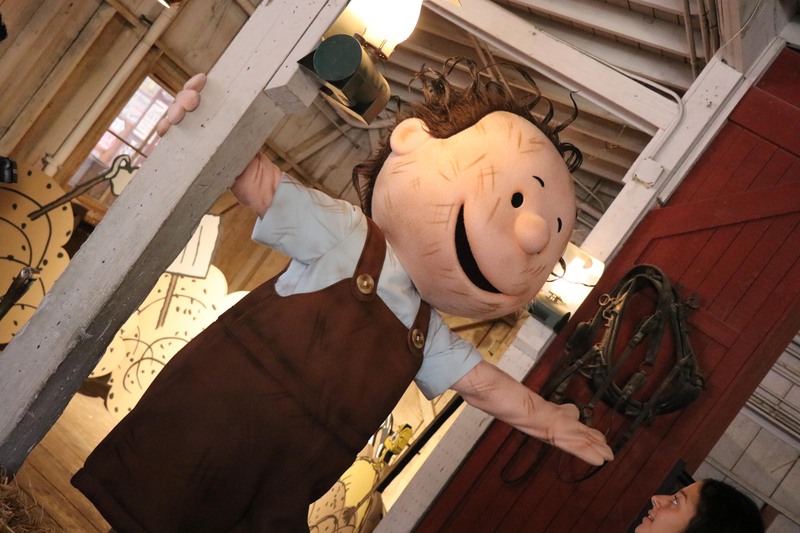 Exiting the Livery stable and making your way over to the Birdcage theatre, you can grab a pencil and paper and let your inner artist out for a bit as you enter Peanuts Sketch School! 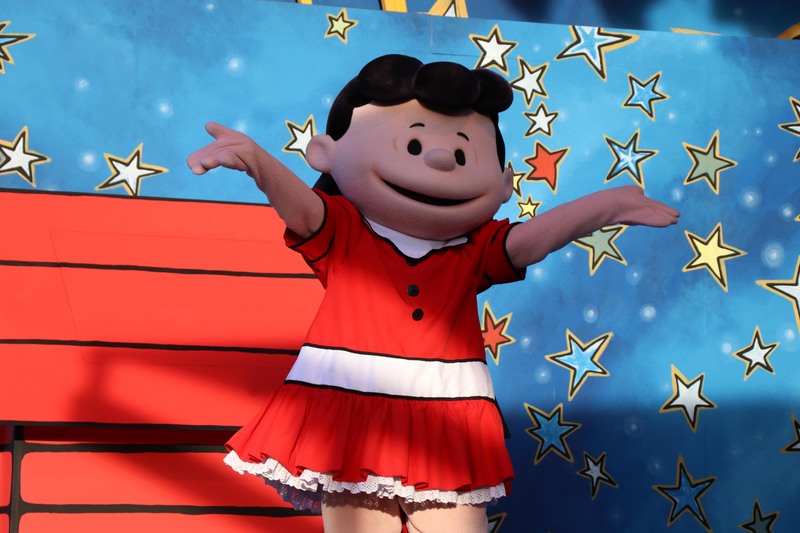 Throughout the day an artist will be on hand to guide you through drawing some of your favorite Peanuts characters! 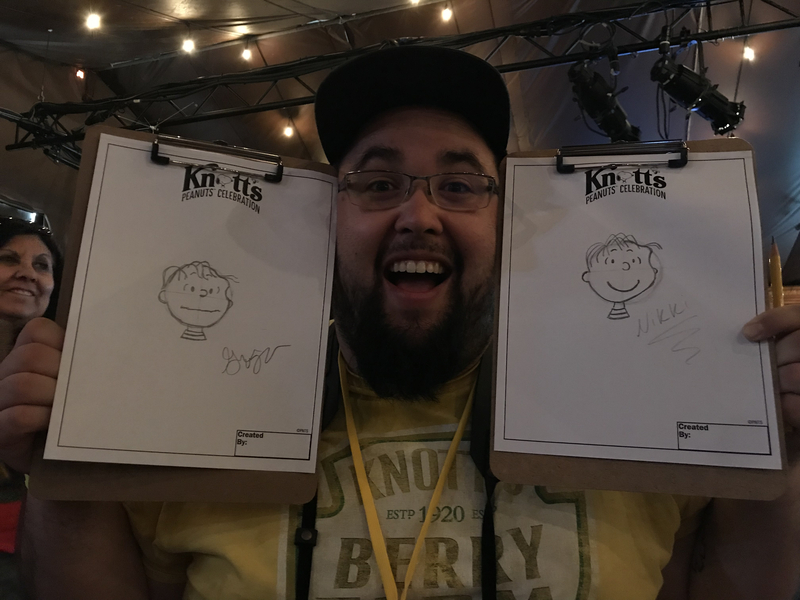 We got the chance to draw Linus, and I don’t think we did half bad! And if for some odd reason, someone in your party is unfamiliar with the Peanuts, stick around to watch the famous shorts that helped kick start a world wide obsession with the Peanuts Gang! 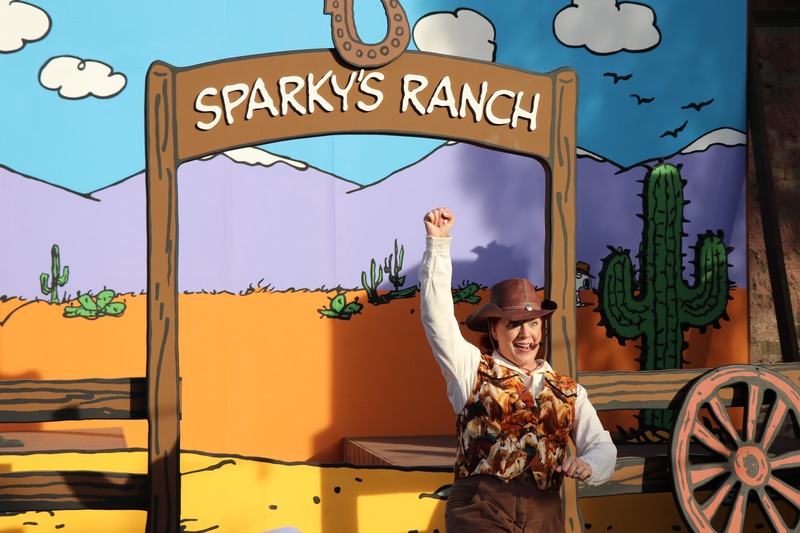 If you are looking for activities that are a little bit more… energetic, you should head over to Calico Park for the Peanut’s Cowboy Jamboree! 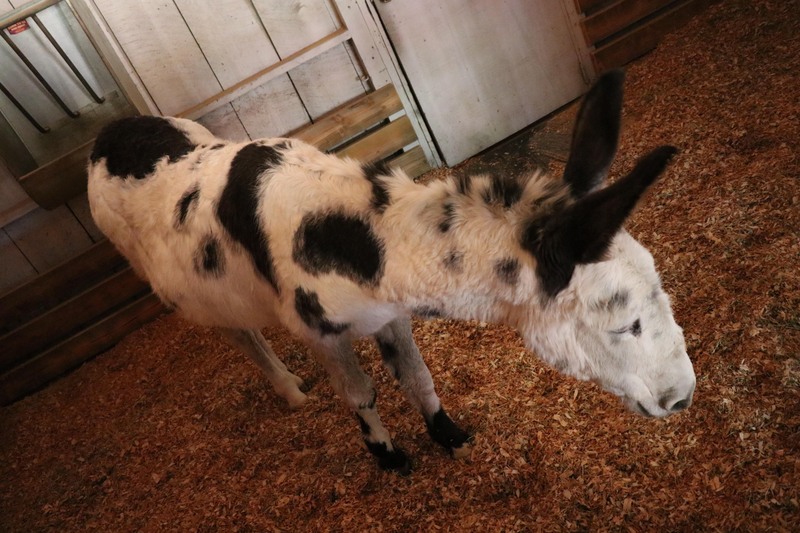 This is where fun, hands-on activities are happening throughout the day including: Steer Ropin’ 101, Spike’s Bean Bag Challenge, Pine Pony Horse Races, The Vanishing Prairie and Mrs. Knott’s Pie Toss. We caught a friendly game of giant horseshoes when we were in the area! Kids swarmed Linus and Franklin to get a chance to play horseshoes with the characters. We even saw some adults taking part in all the fun. 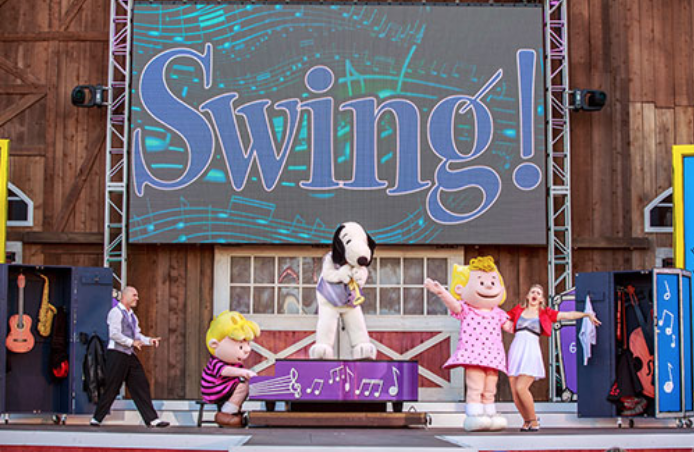 Returning from last year at the Calico Mine Stage is, The Music Goes ‘Round And Around! This cute show has all the pieces to a fun day time entertainment offering. Music, dance and the wonderful Peanuts characters. We happen to be so busy doing the other entertainment options this year that we happen to miss this show! But we did catch it last year and the description wasn’t lying. All the kids were dancing in the isles while Snoopy and his friends entertained to many different styles of music. 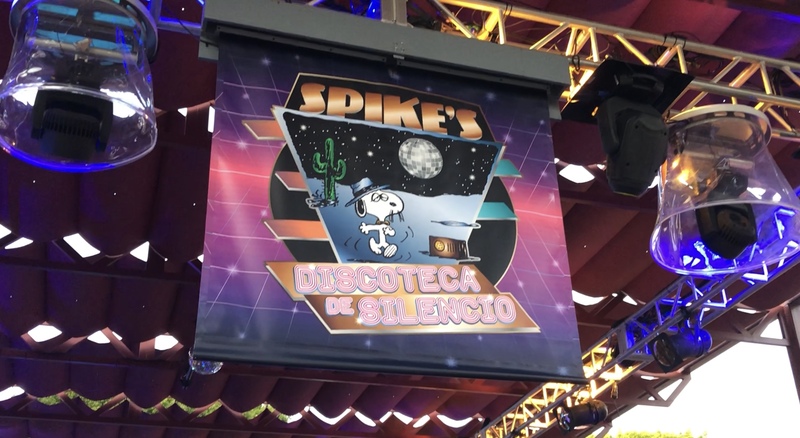 One of our favorite additions to the event this year (because it is just so darn unique and different) is Spike’s Discoteca De Silencio or Spike’s Silent Disco! First, we need more Spike throughout the park and we want a Spike meet and greet character next year in the Livery Stable! Secondly, yes, that’s right… Silent Disco! Trust us, we were just as confused as you are right now. We read the name in the guide map and just couldn’t figure out what it meant. If you head over to Fiesta village, you’ll find out quickly why it’s called a Silent Disco. You can dance the night away, wearing headphones and listening to a song only you can hear. I’m not sure if it is more fun to participate in this activity, or to WATCH! Either way, you are in store for a lot of goofy fun that is not to be missed. One added bonus to this unique offering is how it actually maintains the atmosphere of Fiesta Village without blaring music. We’ll be honest, when ever there is a big party in Fiesta Village, although fun, we never stay long because we hate having to yell over the music to hear each other talk. With Spike’s Discoteca De Silencio, no need to yell because the music is confined to the headphone. Now as parents, we love this addition. 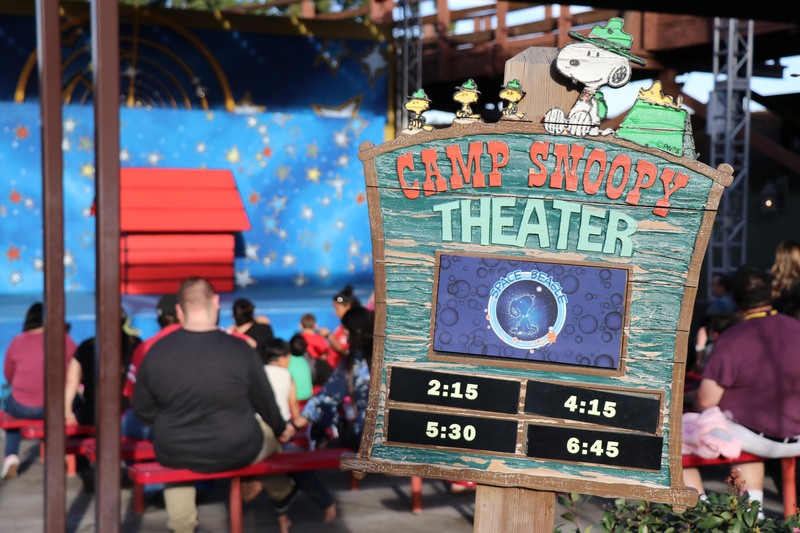 Now, after you have silently discoed to your heart’s content and make your way out of Fiesta Village, you enter the part of the park that we feel is really the heart of this event: Camp Snoopy! Every pole is adorned with a different Peanuts character decoration and comic-style word bubbles, filled with classic quotes from the comics. 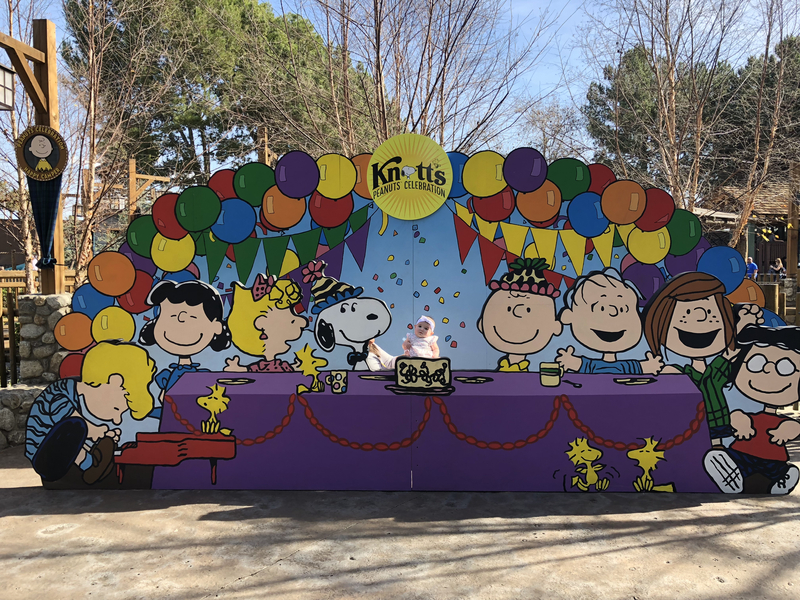 There is even a giant photo op with all of the peanuts characters throwing a party! Clearly Eireann wanted to join in on the fun. Now this is the area of the park where Eireann really had a blast! 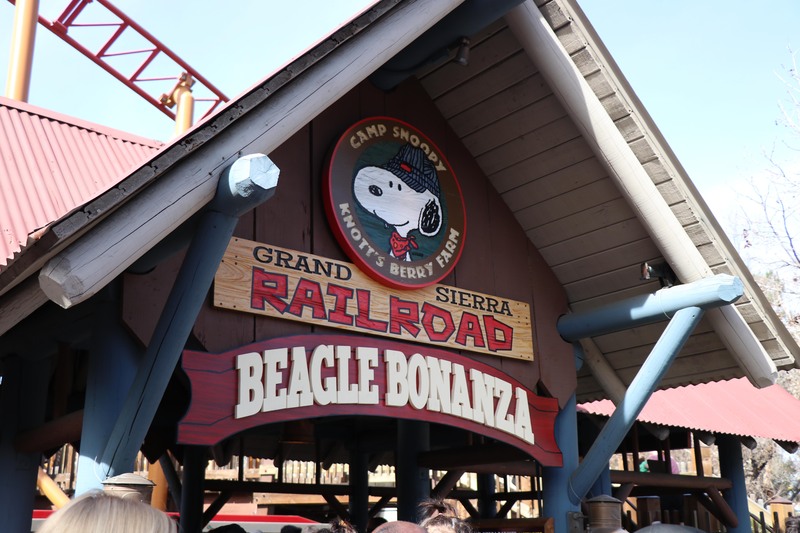 Like we mentioned earlier, she rode her first Theme Park ride EVER…The Grand Sierra Railroad: Beagle Bonanza! 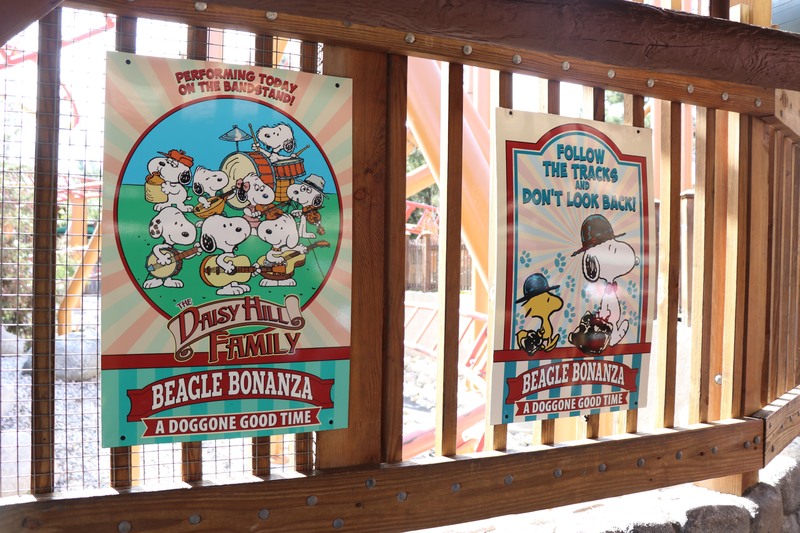 The Grand Sierra Railroad was all decked out for the Beagle Bonanza, and we had so much fun taking Eireann on this great addition to the Peanut’s Celebration. Looking at all of the Peanuts Characters in various fun scenarios makes this quaint little ride so much fun. 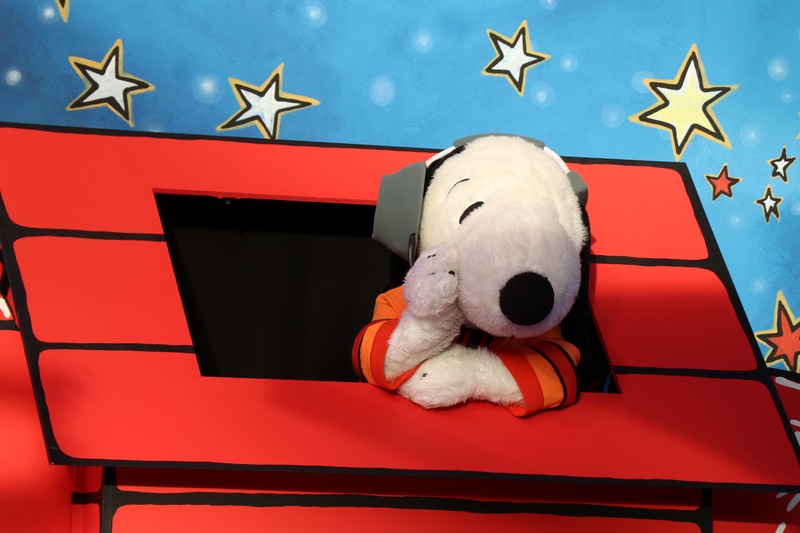 Hands down, the highlight of the event for all THREE of us was the new Space Beagle show at the Camp Snoopy Theatre. This show was pretty much perfect. It was funny, had catchy songs, and such a fun concept! 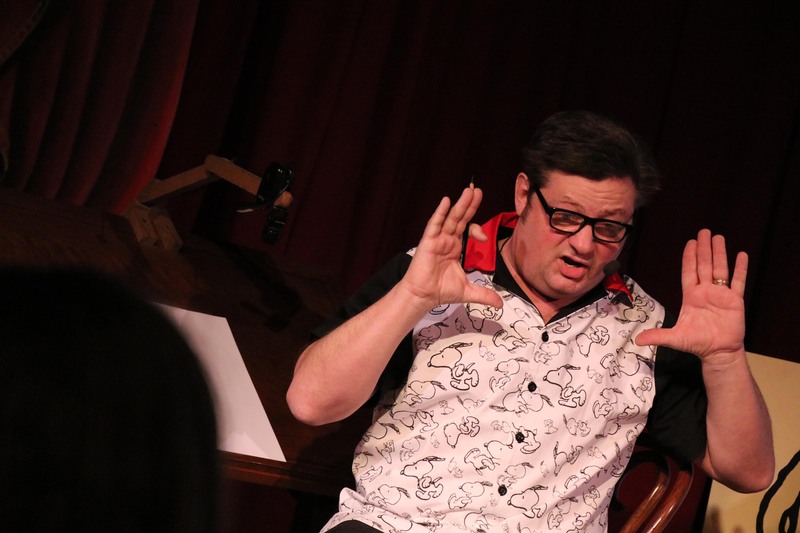 It was a wonderfully entertaining show for kids and Adults alike! It’s extremely difficult to write entertainment for children while maintaining some type of entertainment for adults at the same time. But Space Beagle was able to balance its appeal to children while keeping the parents equally engaged. We couldn’t tear our eyes away from the stage! 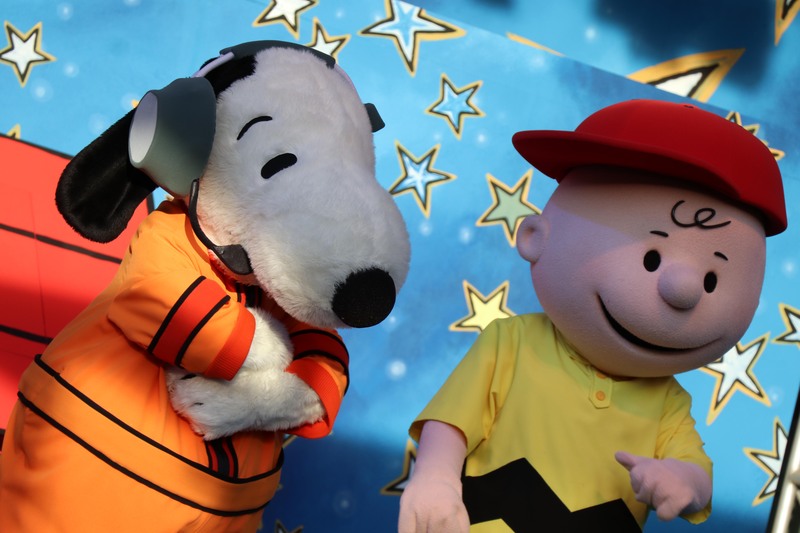 Hey, you can never go wrong with a moon-walking Snoopy or a flossing Charlie Brown! 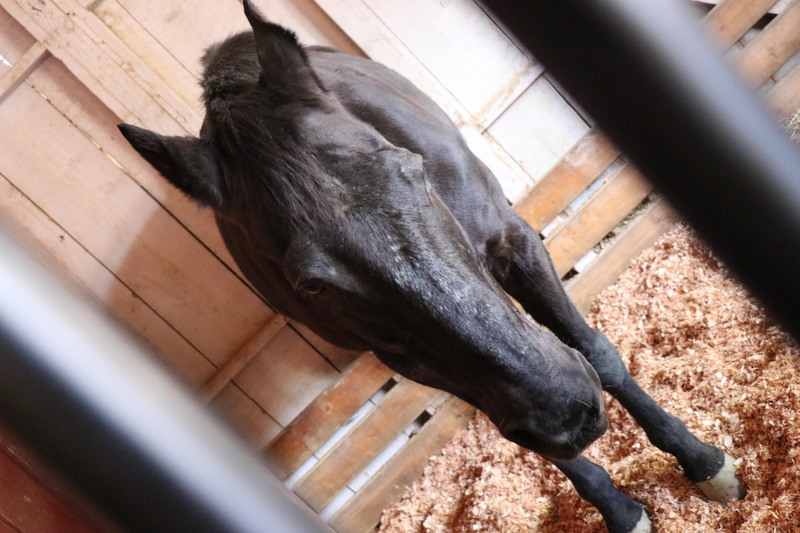 After so many fun activities throughout the farm, you might be working up a might strong appetite! 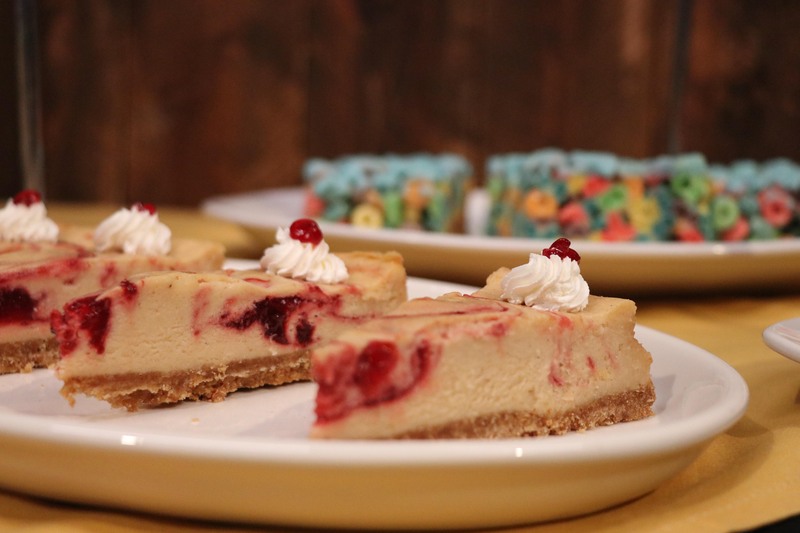 Lucky for you, Knott’s Berry Farm has created many new food offerings ONLY for Peanuts Celebration. 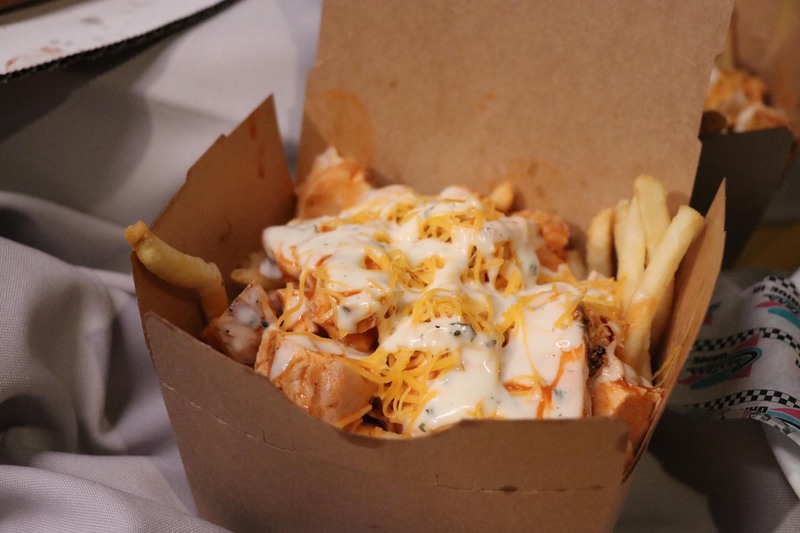 If you find yourself in Fiesta Village, you can head over to La Papa Loca for some Wah Wah Wah Buffalo Loaded Fries (pictured), or maybe for dessert you want some Charlie Brownies, PB & J Cheesecake, and Fruit Loop Bars (pictured). Regardless what your preference is, there is clearly something for everyone at Peanuts Celebration. 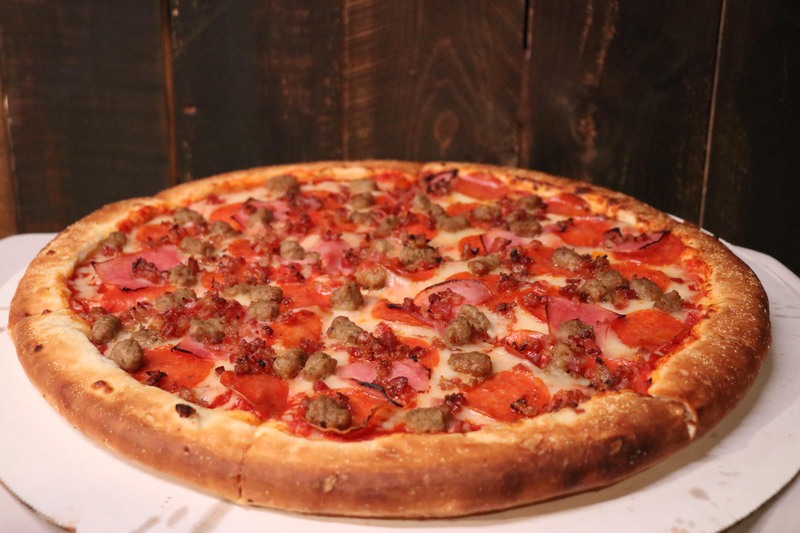 To be quiet honest, we are always astounded at how creative and tasty the food is at Knott’s for any of its seasons. Not only are the names of the foods creative and tie directly into Peanuts; but they are never lacking in flavor or complexity. 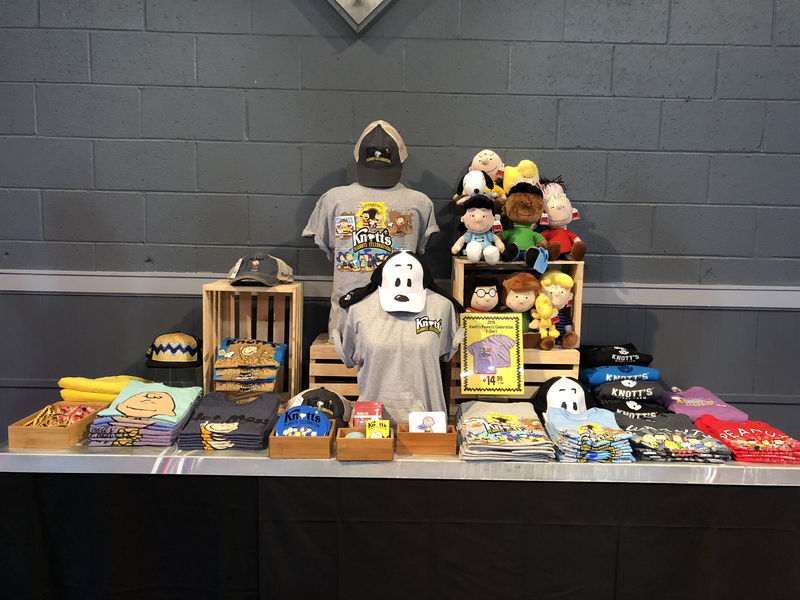 Now, before you head over to the Calico Mine Stage to catch Woodstocks Music Festival, you have to head into one of the stores to grab your official Knott’s Peanuts Celebration merchandise. 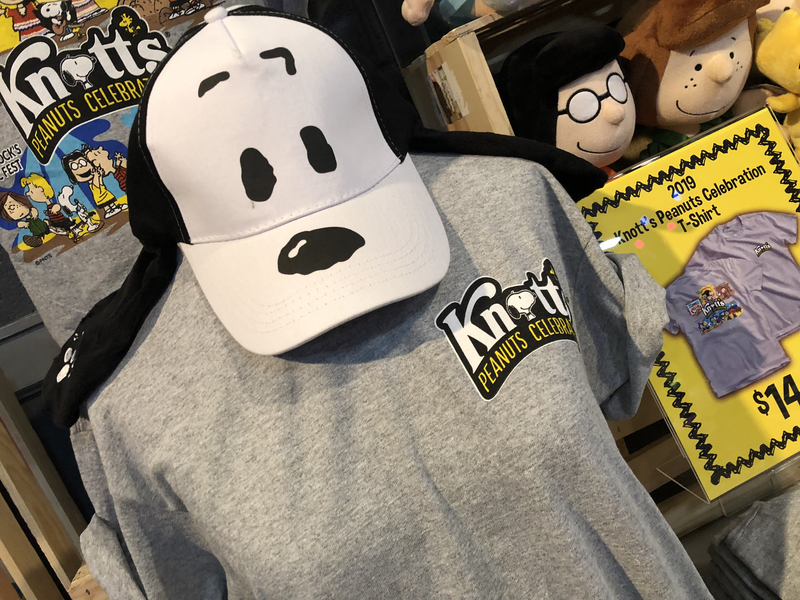 In recent years, Knott’s has really been stepping up their game with regards to their merchandise for their seasonal celebrations. They’ve really listened to what the fans and guests have said they wanted and have delivered in spades. We simply cannot wait to snag ourselves a Peanut’s Celebration shirt. The only thing missing for us is a onesie for Eireann. 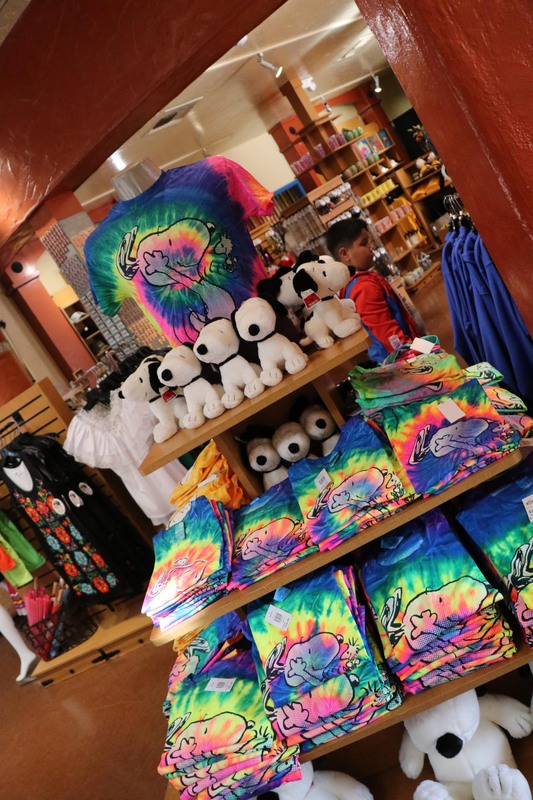 Once you have your tie dyed Snoopy shirts one, it’s time to head over to Calico Mine Stage to catch Woodstock’s Music Festival featuring The Jelly of the Month Club! 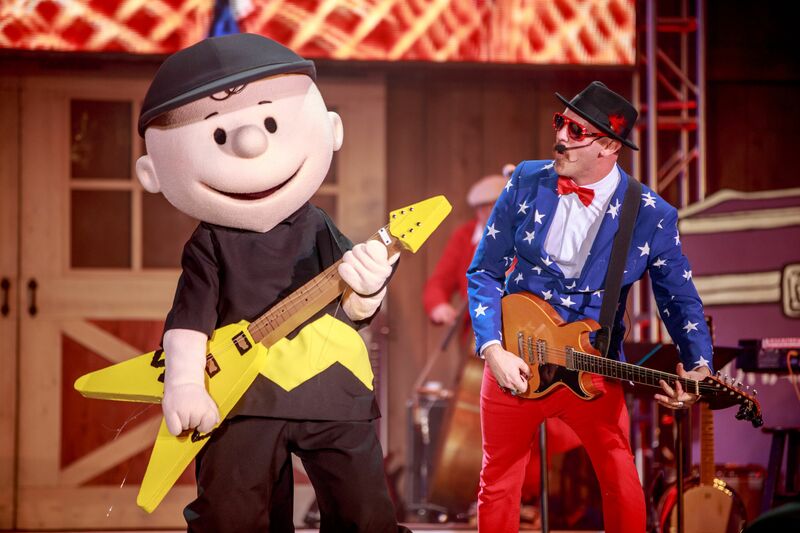 Although, we didn’t get to stay for the festivities, we saw this band perform during last years Peanuts Celebration and were floored by how fun the show was and how engaged the families were during the show. Not one child was left sitting and we bet it was the same again. If you haven’t heard of Jelly of the Month, here is one of their songs to get a sense of their tone and style. 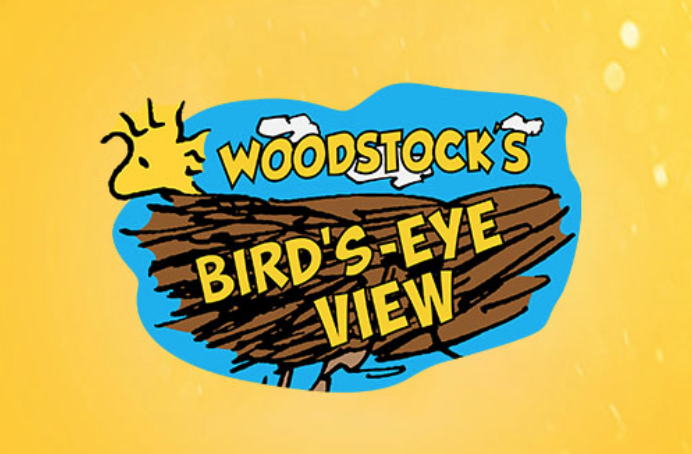 At the end of the night, there’s nothing like a night time ride on the Sky Cabin…we mean Woodstock’s Bird’s-Eye View! If you are just a tad too scared to ride some of the tall coasters in the park, you can easily take a ride on the Sky Cabin to get an incredible view of Southern California. Our friends over at Park Journey, have a great video of this experience. Make sure to check them out! 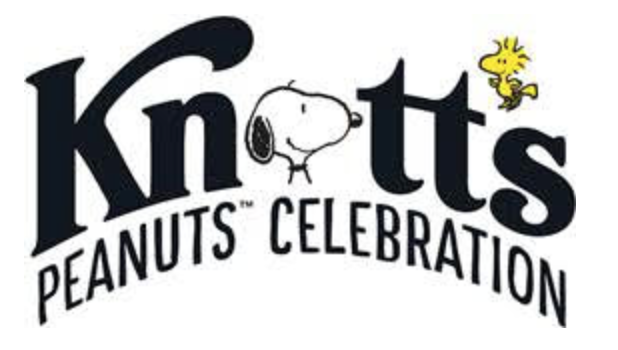 When ever we discuss theme parks with friends, family or co-workers; we always talk about Knott’s. Not only because we are fans, but because we are always impressed with the quality of entertainment offerings, food, merchandise and its truly unique experience. 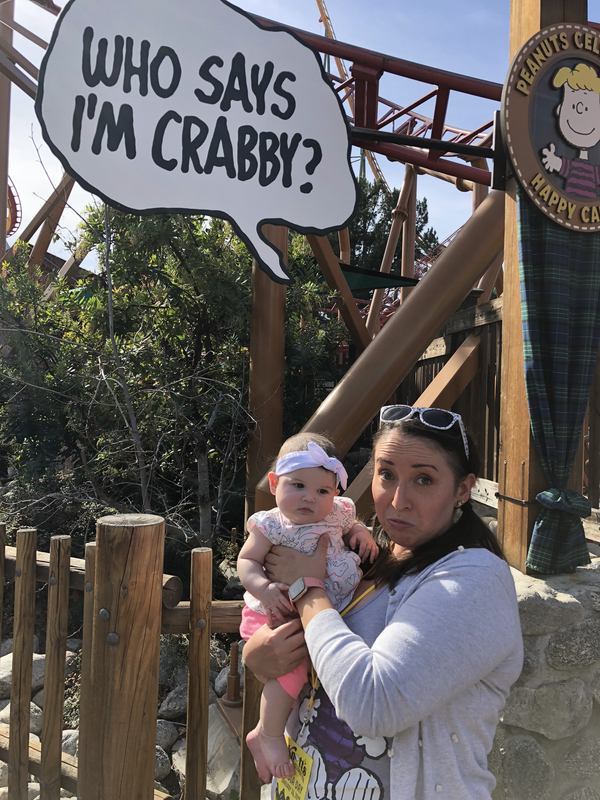 We feel like everyone should be coming to Knott’s to see each and every season because each is distinctive and special; but they are also all uniquely Knott’s Berry Farm. 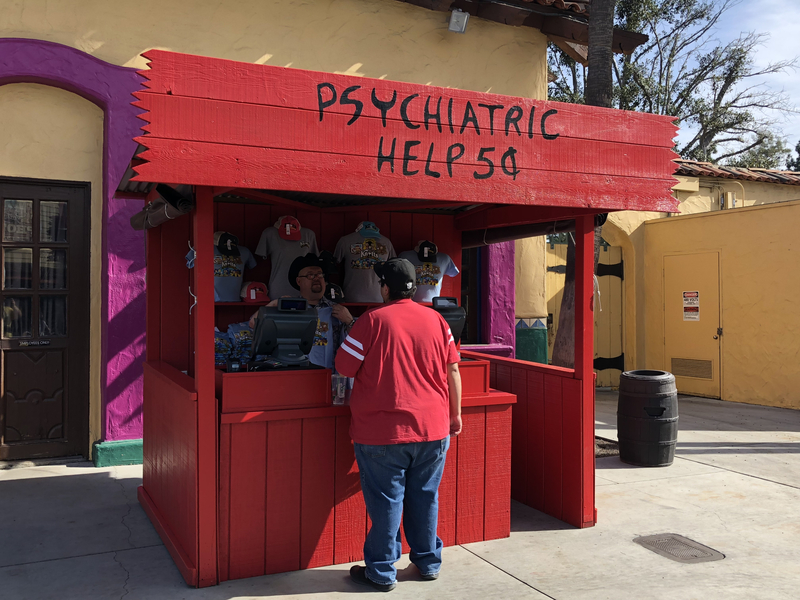 Instead of just simply putting Christmas decorations up, instead of simply putting Halloween decorations up; Knott’s continues to find creative ways to incorporate what makes it different. 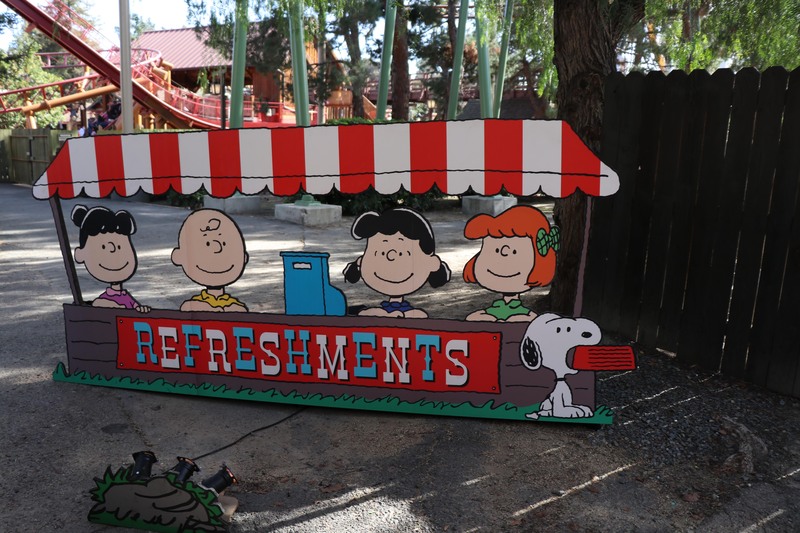 In this case, Knott’s found a fun and creative way to utilize the Peanuts characters that have been apart of the parks history for many years. Peanuts celebration is not only good or great, but it seemingly has filled a piece of the puzzle that nobody knew was missing. It feels so right for the park, that it almost feels like it’s always been around. 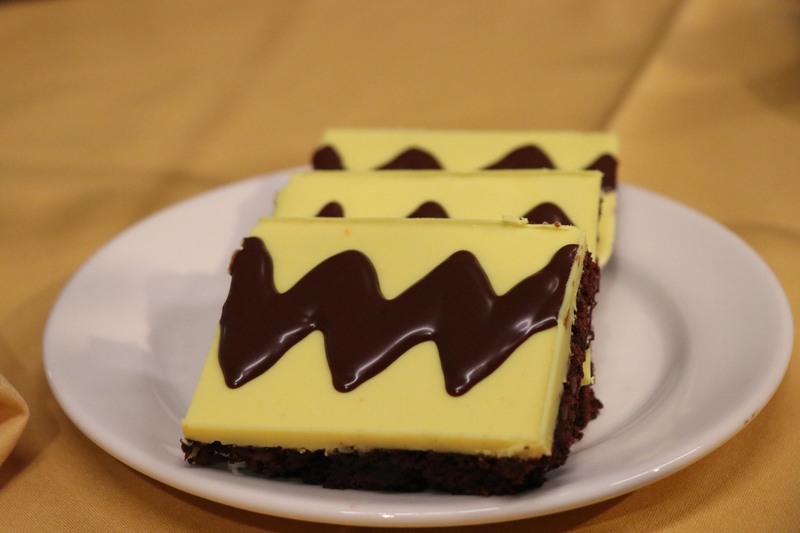 From its food, shows and interactive entertainment offerings; Peanuts Celebration continues to succeed on all levels as a seasonal celebration. 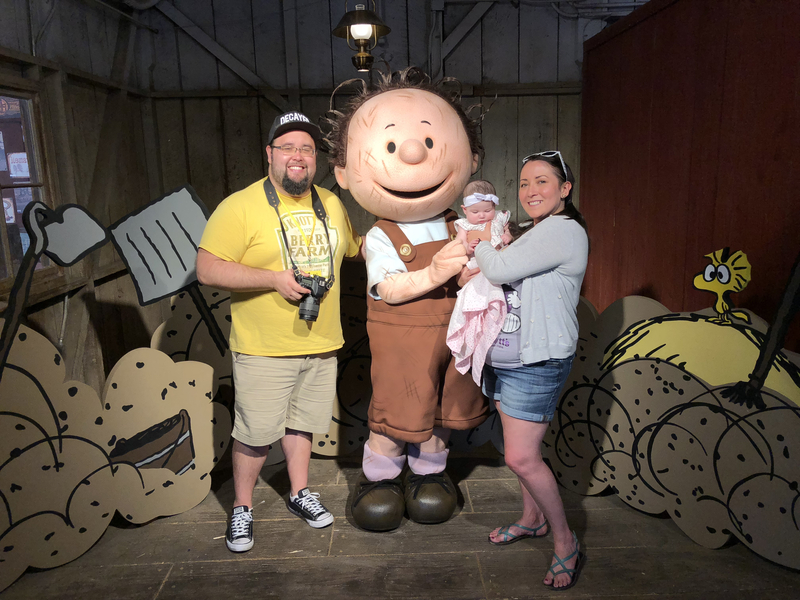 The childlike sense of excitement and wonder that can only be created by the Peanuts Gang, permeates all aspects of the park and helps set this celebration apart from the rest. 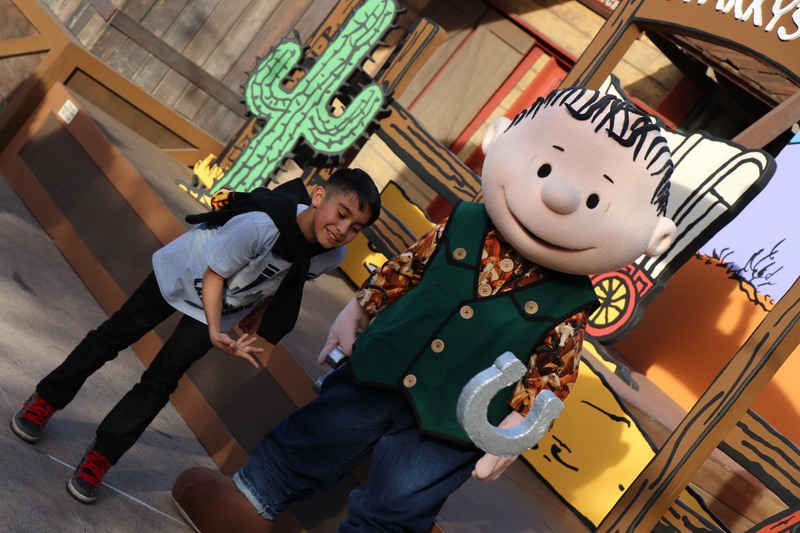 If you haven’t already, make sure you go to Knotts.com to learn how you can visit Knott’s Berry Farm during this fun yearly celebration.